Enjoy the beautiful Cypress Creek during your stay at The Lodge at Cypress Falls. 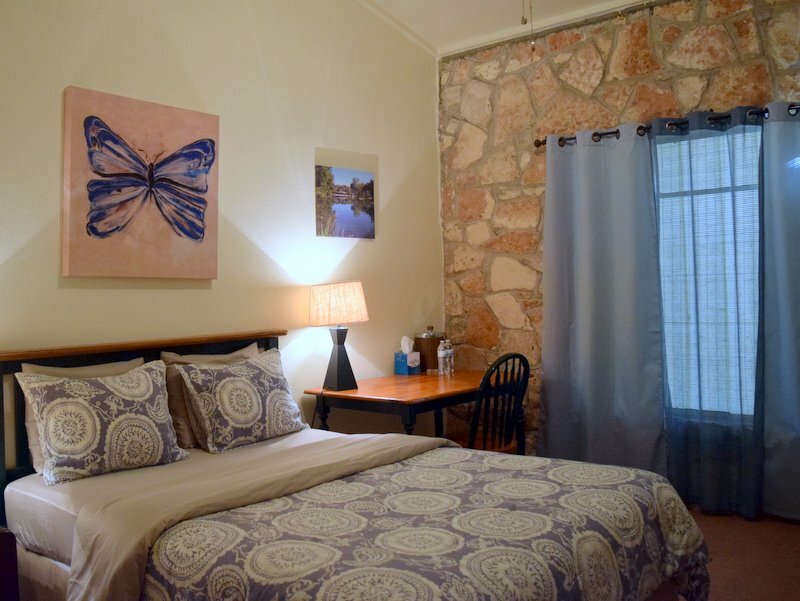 Enjoy kayaking, tubing, fishing or just relaxing by a fire in the evenings. With affordable guest rooms and week day specials, this retro hotel will become your family vacation tradition. 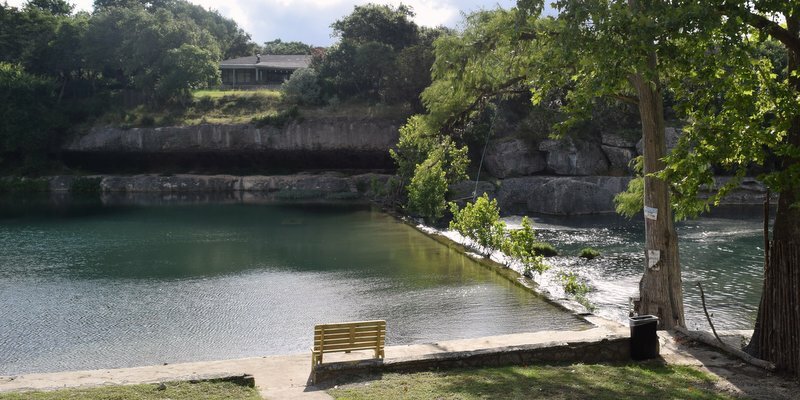 If the old rock walls at this hotel could talk they would tell stories of family vacation adventures from nearly a century of guests who have enjoyed their stay here, often so much they make it part of their family tradition – the yearly pilgrimage to Wimberley. Set beside the spring fed waters of Cypress Creek, The Lodge, built in 1949, is one of the coolest “hot spots” around. Guests have access to the shady back yard, covered with Cypress and Oak trees, the creek side grassy beach area with plenty of room to spread out and enjoy an afternoon in the sun or an evening beside the fire pit, and of course, the cool, crystal-clear water for tubing, kayaking, swimming or even catching a fish or two. With rock walls, pared-down rooms, vintage decor and old photos of former guests, the retro, family-camp-throwback vibe is both charming and comforting. Spend your days being lazy and perfectly at ease as your kids play hide-n-seek in the shady back yard or jump into the creek while you lounge in the sun. 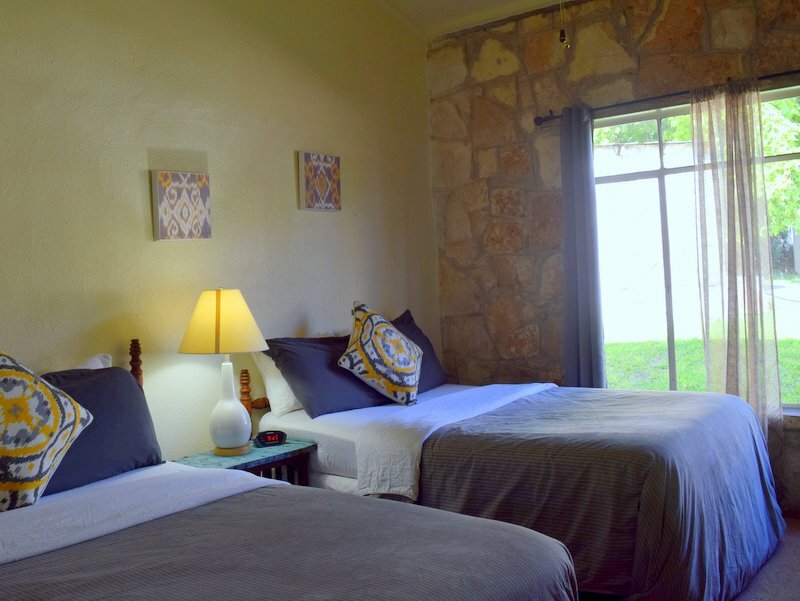 The Lodge has 22 rooms, either King, Queen or two double beds in each bedroom, plus a large Bungalow with a king bed, kitchenette and seating area. Amenities include a beautiful pool area with grills and outdoor seating, tennis courts, creek access with tubes and kayak rentals, continental style breakfast with gourmet coffee bar, TV’s in every room with 70 channels, one handicap accessible bedroom, and large lobby with wifi. Rates beginning at $99 per night with seasonal and weekly discounts. Inquire about rates for reserving a block of rooms for family reunions, weddings or other events. Dream of a wedding under the trees next to a clear, flowing creek and dancing under the hill country stars? The Cypress Falls Event Center will make all your wedding day dreams come true. With an onsite coordinator, plenty of outdoor space for celebrating plus more room inside, your special day will be perfect at Cypress Falls Event Center. Wimberley’s newest restaurant opening on the same property as the Lodge at Cypress Falls. Chef Jay Bachman serves up some of the best burgers, brisket, pulled pork and other delicacies each afternoon overlooking Cypress Creek and the historic Eagle Rock. Bring your own beer and sit outside or under a covered porch, then spend the rest of the day in the creek! Retro Hotel perfect for a family vacation anytime of year – reasonable rooms, weekly specials. 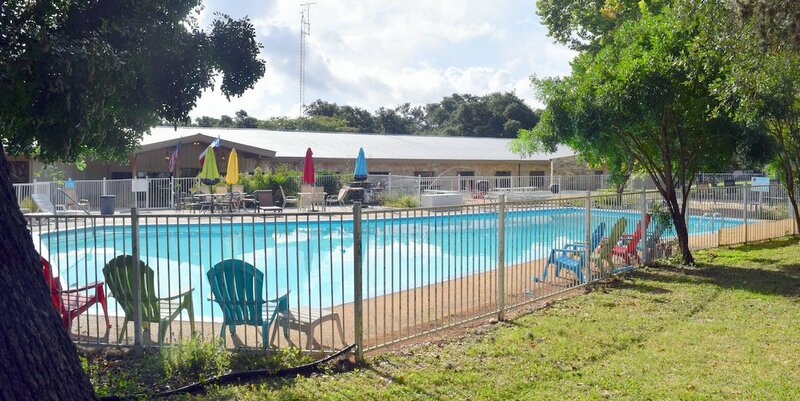 Right on the banks of Cypress Creek with creek access for swimming, kayaking, fishing and tubing. Large swimming pool, walking distance to Mt. Baldy and only 1 mile from the public golf course. 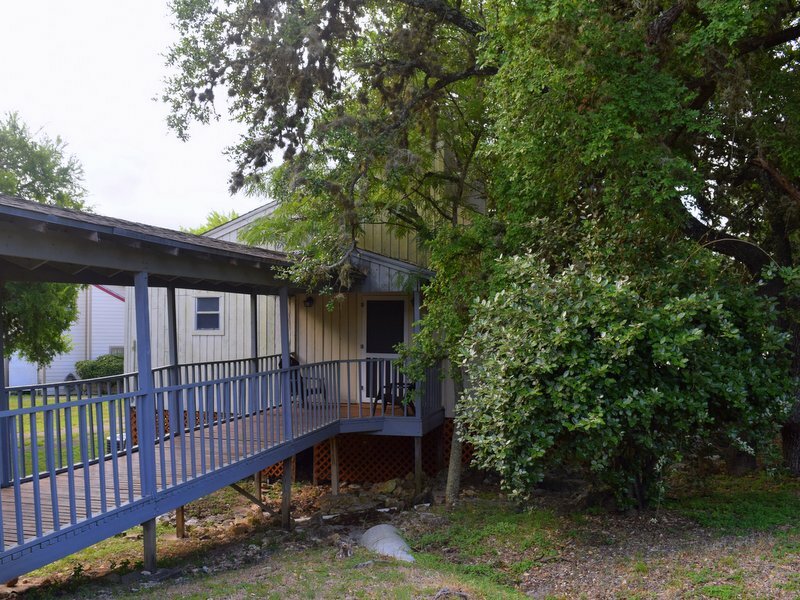 Semi-private 18-hole (72 Par) golf course with beautiful views of the Wimberley Valley. Open daily. Weekday rates $35 with cart, weekends $45.